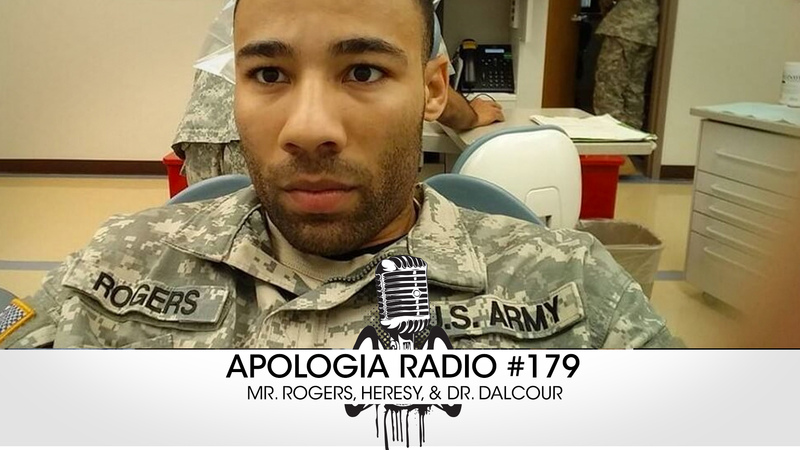 Listen-in to the newest episode of Apologia Radio in which we respond to a recent video from Marcus Rogers. Mr. Rogers made another video addressed to Dr. James White. In the video he attempts to provide a Scriptural case for his false teaching. We are joined by our friend, Dr. Edward Dalcour (Christiandefense.org). Dr. Dalcour walks us through the history of this heresy and Jeff and Dr. Dalcour respond to Mr. Rogers claims. This is important stuff, folks. We hope it is a blessing to you and we would be honored if you let someone know about it! Would you like more? You can have it! When you partner with Apologia Church by becoming All Access, you will get all of our TV shows, our After Shows, and Apologia Academy where you get to learn from Dr. James White, Dr. K Scott Oliphint, Jeff Durbin, John Samson, Douglas Wilson, and more! Sign-up today at apologiaradio.com. Okay, this is the first time I’ve listened to this podcast series and the first thing that went across my mind was why are they going to talk about Mr. Rogers and his beautiful day in the neighborhood. While listening, I heard the comment I made on Roger’s Facebook feed in regard to oneness theology unless that same quote was repeated more than just my probing. I sent him a personal message later asking for him to explain further and I ended up getting deleted from his page. No biggie, but I was curious since I keep getting people passing his videos off with great excitement that I should watch. I am glad for the understanding I do have in regards to trinitarianism. I picked up a copy of Tim Challie’s book “Visual Theology” and also came across a diagram they had available on his site that explained the different heresies and the different ways people have tried to explain the Trinity using objects and how they can fall into one or more of those different heresies. I noticed that you need a subscription in order to access more of the site and I wish I could, but right now we are strapped in our budget while I finish college courses in December and then begin a master’s degree in January online at Southern Baptist Theological Seminary. I am thankful for the opportunity to locate and add this podcast to my feeds. God bless. Joy, I love you, but I have had Kangeroo Steaks in Australia, and my mother used to have a Kangeroo Skin Coat. Yes, there are domesticated animals in farms and zoos, but they can be pretty fierce and dangerous in the wild. Marcus Rogers uses terms like people are drawn to him because they see his “Fire”, this non-descriptive fire of his. When one has to preface, “I’m not being arrogant”, is only spoken by the arrogant. He doesn’t understand the Divine Nature of God (i,e the Godhead). Embracing this 102 yr old “Oneness” ideology, not even aware of it’s 19th Century origins.